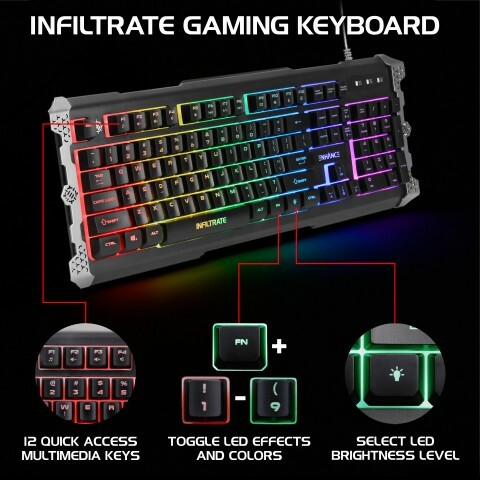 The Infiltrate Gaming Keyboard is feature packed and ready to take your gaming setup to the next level. 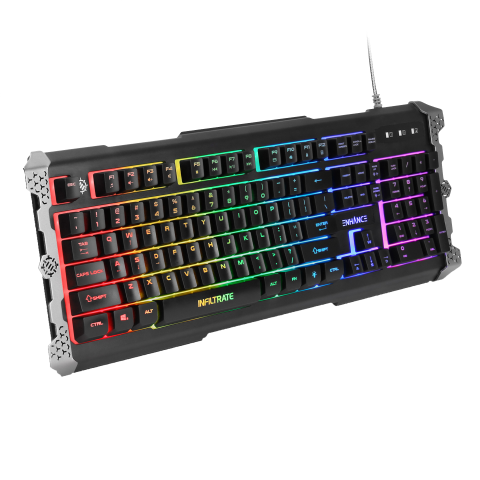 With 7 color selections, 9 lighting effects, and Soundwave audio responsive lighting, the Infiltrate keyboard is the only choice. 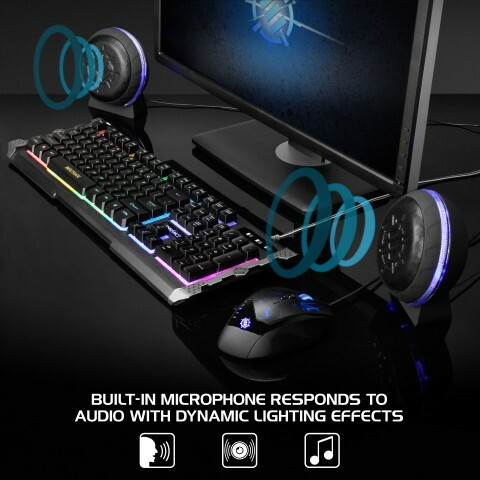 Experience reactive and dynamic LED lighting from music, voice chat, game audio, and more! A built in microphone picks up sounds from the room and displays a vibrant light show to the rhythm of the audio, allowing you to automatically set the mood of the game you're playing with reactive lighting. 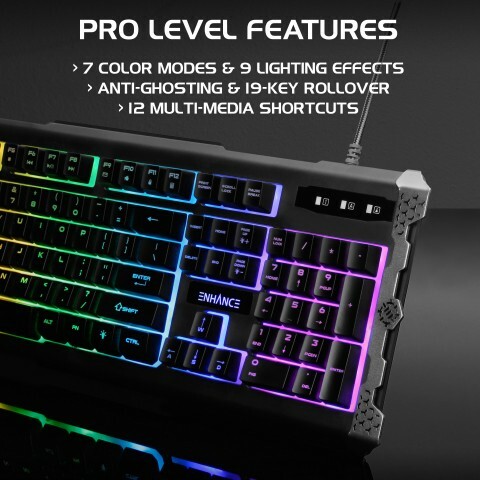 Choose from 7 different solid colors, or select from the 9 lighting modes including Fade, Breathing, Hard Switch, Explosion, and more! 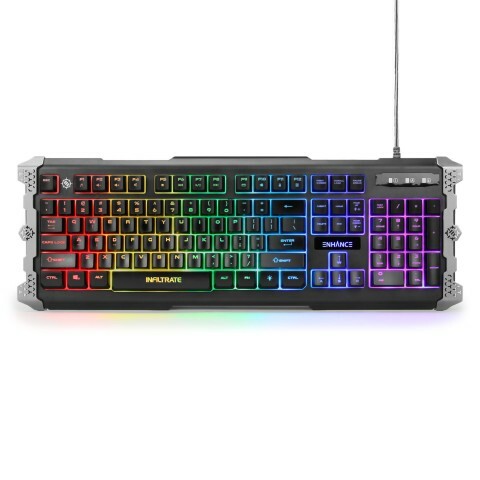 Quickly switch lighting settings right from the keyboard without any frustrating software to mess with. 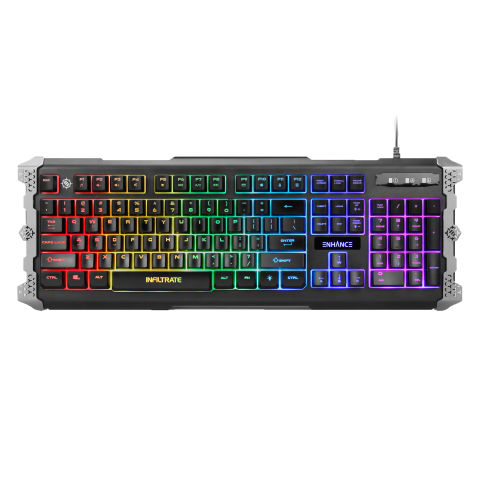 Adjust the brightness to fine tune your gaming preferences and quickly open common programs by using the 12 multimedia shortcut keys. 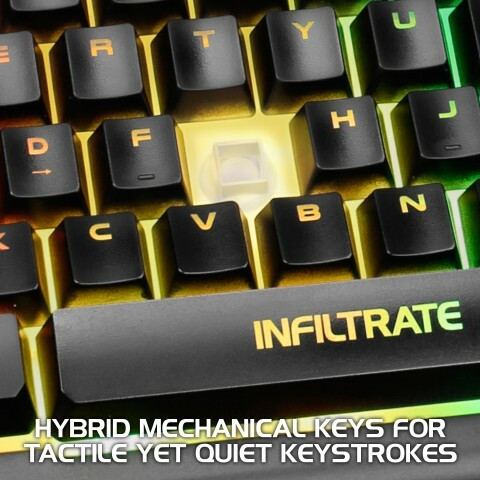 The Infiltrate keyboard features a mechanical feeling keystroke, but without the loud noisy click of other keyboards. Game for hours into the night without waking up neighbors or use at the office without annoying your co-workers. 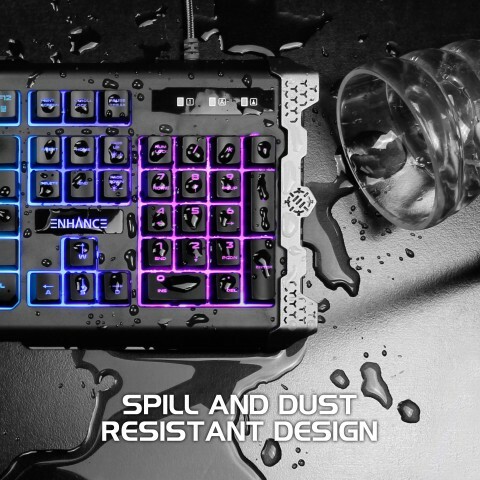 The dust and spill proof design of the keyboard protects the Infiltrate from moisture and spilled drinks and features drainage vents to quickly dry out and clean it out in case of an accident. 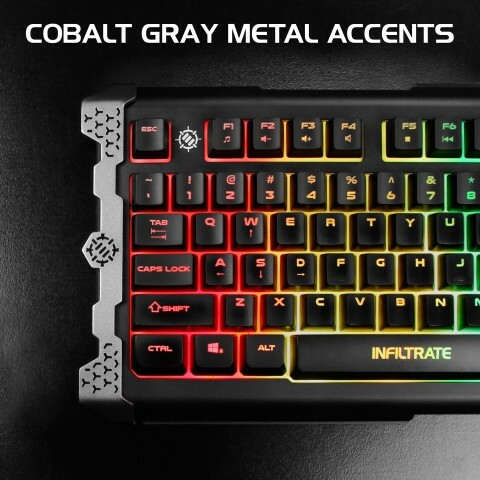 Anti-ghosting and 19KRO (19 key roll over) make the Infiltrate ideal for intense gamers and power users and the brushed metal frame on either side provide an awesome aesthetic to any desk. 463 x 168 x 30mm"